So in itself a very pleasing album to listen to, and one that will be lapped up by the prog community. Stylistically, what is proposed is a clearly British prog, offering practically all fans of the genre what they would expect. Excellent melodies and intricate song structures combine across all seven of the inventive tracks. Love the melodic guitar and synth parts on this album. Nowhere you can find freaky stuff. Kortom de structuur is complex, maar Marygold heeft het voor elkaar gekregen om dit op een toegankelijke manier te verpakken. ‘One light year’ is een prima album. In short, the structure is complex, but Marygold has managed to pack this in an accessible way. One light year’ is a great album. Musically, however, it’s perfect with very beautiful keyboard and guitar solos on a well thought out basis. ‘One light Year’ rappresenta un ottimo ritorno per una band che ha ancora qualcosa da dire. ‘One light Year’ is a great return for a band that still has something to say. One Light Year is for me a concentrate of adult rock, with great melodies and complex parts. One Light Year is a great work of pure progressive rock, to be consumed from the first to the last minute. Disco affascinante e ricercato, perfetto per chi nella musica cerca personalità e passione. Fascinating and refined disc, perfect for those in the music seeking personality and passion. Questi musicisti riescono a far emergere la loro personalità, dando il giusto colore ad un album intriso di piacevole rock romantico. Un ottimo lavoro di prog rock classico, di altissimo spessore musicale ed artistico. “One light year” è, dunque, promosso a pieni voti: un lavoro che si fa apprezzare dall’inizio alla fine, un deciso passo in avanti rispetto all’esordio e la dimostrazione che si può fare ancora del new prog “solido” e di buon livello, senza eccedere in virtuosismi ed in “svolazzi” eccessivi ed i Marygold ne sono la dimostrazione. “One Light Year” is promoted with full marks: a work that is appreciated from the beginning to the end, a decisive step forward compared to the beginning and the demonstration that we can still do of the new prog “solid” and good level, without exceeding in virtuosity and excessive “swirls”. Im Bereich des Songwritings und der Arrangements haben sich Marygold sichtlich weiterentwickelt. Marygold revient en force avec un album solide qui est clairement digne de louange ! ‎Vraiment excellent! Recommandé chaudement! 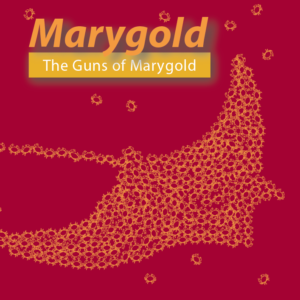 Marygold comes back in force with a solid album that is clearly worthy of praise! Really excellent! Hotly recommended! Lo spirito progressivo classico che rimanda a Genesis e Yes si fonde con il taglio moderno di Steven Wilson. Nasce così il ritorno dei Marygold, che firmano un album meraviglioso. The classic progressive spirit that recalls Genesis and Yes merges with the modern cut of Steven Wilson. This is how Marygold’s return came about, signing a wonderful album. Molto belli i due brani lunghi, “Spherax H2O” e “Lord of time”, pieni di cambi di tempo, di una grande varietà di atmosfere, di modulazioni particolarmente efficaci, di giochi ritmici, di tessuti sonori sempre piacevoli, profusione di Hammond, piano e Mellotron i cui intrecci assieme a quelli delle chitarre, sempre scintillanti, danno un grande valore aggiunto alla musica dei Marygold. Very beautiful the two long songs,”Spherax H2O” and “Lord of time”, full of time changes, a wide variety of atmospheres, particularly effective modulations, rhythmic games, always pleasant sound fabrics, profusion of Hammond, piano and Mellotron whose interlacements together with those of the guitars, always sparkling, give a great added value to Marygold’s music. “One Light Year” è un disco che ben si fa ascoltare, con numerosi momenti di buona musica fra melodie da scoprire e buona tecnica strumentale, qui i Marygold confermano la crescita. Disco intelligente, suonato e composto con stile, arte e genialità. An intelligent album, played and composed with style, art and genius. Marygold have returned with a solid album that’s clearly deserving of praise! De groep brengt een mix van ouderwetse Italiaanse prog met modernere klanken uit de neoprog periode. The group brings a mix of old-fashioned Italian prog with more modern sounds from neoprog period. „One Light Year” to bardzo udana płyta. Ucieszy ona tych słuchaczy, którzy ukochali sobie klasyczne progrockowe brzmienia, bez zbędnych współczesnych wtrąceń i niepotrzebnego silenia się na nowoczesność za wszelką cenę. Marygold gra po prostu swoje i czyni to w sposób bardzo przekonywujący. Na tyle przekonywujący, że płytę „One Light Year” śmiało można nazwać oceanem muzycznych przyjemności. ‘One Light Year’ is a very successful album. It will be happy for those listeners who have loved classical progrock sounds, without unnecessary contemporary interjections and unnecessary amplification with modernity at any price. Marygold simply plays its own game and does so in a very convincing way. It’s so convincing that the album “One Light Year” can be easily called an ocean of musical pleasures. The softer eyes will moisten…. listening to harmonies, rhythmic scans and some chord sequences…. Dans la grande tradition du rock progressif Italien, j’ai été emballé dés la première écoute de « One Light Year » du groupe Marygold… Leurs mélodies s’égarent dans les tourments d’un rock progressif fin et raffiné, mais toujours intense. In the great tradition of Italian progressive rock, I was thrilled from the first listening of “One Light Year” by the band Marygold… Their melodies stray in the torments of a fine and refined progressive rock, but always intense. Ce premier album de Marygold possède la spontanéité et la fraîcheur des premiers essais, mais aussi les futures lignes directrices qui donnerons naissance a leur superbe dernière publication « One Light Year » ! 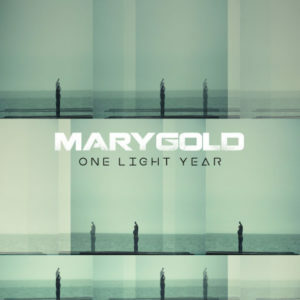 This first album by Marygold has the spontaneity and freshness of the first attempts, but also the future guidelines that will give birth to their superb latest publication “One Light Year”!